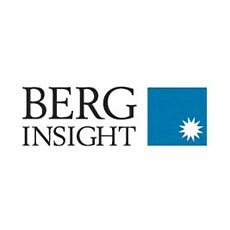 According to a new report from the M2M/IoT analyst firm Berg Insight, annual shipments of smart gas meters in Europe will increase 118 percent between 2016 and 2018 to reach 11.8 million units. The adoption of metering in the European gas market took off in 2016 as the number of installed devices more than doubled to 10.1 million units. By 2022, the installed base is projected to reach 62.4 million units. The increase will mainly be driven by nationwide rollouts in France, Italy, the Netherlands and the UK. Italy will be the largest market with annual demand projected to peak at more than 5 million units towards the end of the decade. The nationwide rollouts in France and the UK will pick up speed in 2017 as both countries enter the mass deployment phase. In the Netherlands, the full-scale rollout is already underway and will continue until the early 2020s. The smart gas metering systems use different forms of wireless communication. Short-range radio communication using the 169 MHz frequency band has somewhat unexpectedly become the de-facto industry networking standard in France and Italy where smart gas meters are deployed independently of smart electricity meters. Emerging LPWA technologies have arrived too late to have any significant impact on the market in the short term.